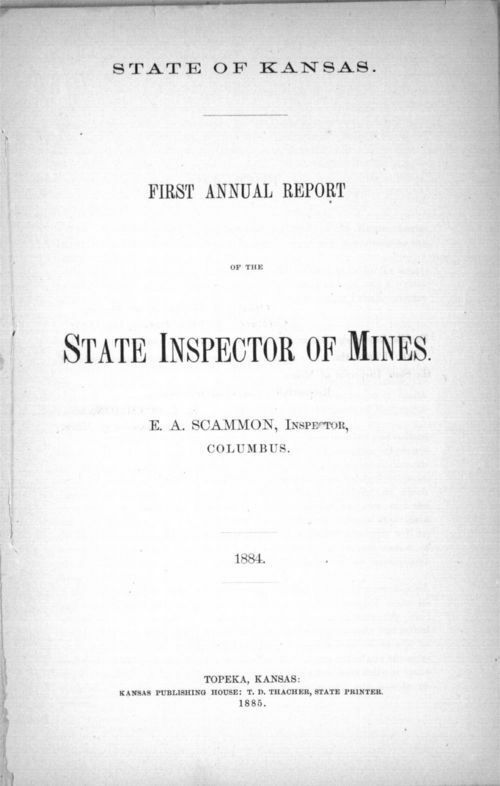 These reports of the Kansas State Mine Inspector mostly concern coal mining, though by 1929 the scope of the reports broadens to include metal mines. The content of individual reports will vary. The reports address mining laws and mining districts; industry production and earnings; fatal and non-fatal accidents; accident investigations and transcripts of oral interviews; labor strikes; mine locations; mining companies and operators; and proceedings of mining conventions. The reports document the political, economic, social, and environmental impacts of more than seventy years of mining in southeastern Kansas.